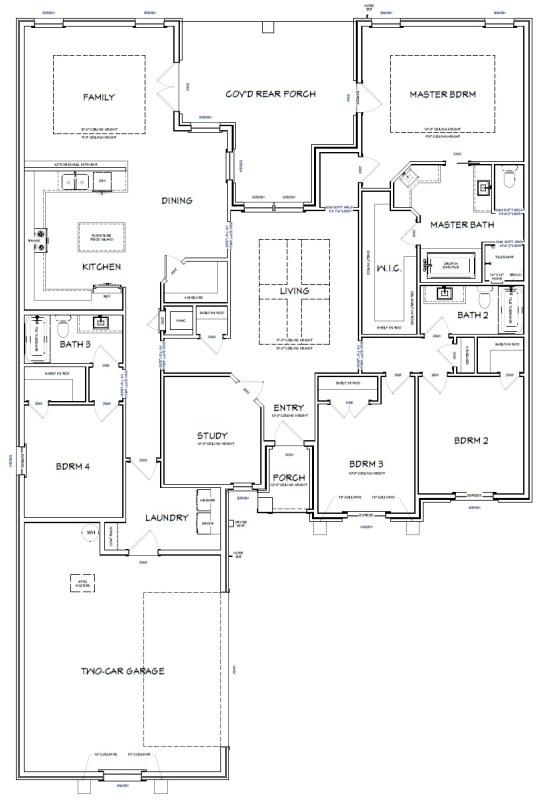 The David is 2,571 square foot home with four bedroom and three baths. The home has a living area, family room, and a study in addition to the four bedrooms. The kitchen has a large island, walk-in pantry and a spacious breakfast nook. The master bedroom has trey ceilings and the family room has double trey ceilings. The living area has coffered ceilings which add elegance to the home and can be seen from the entryway. The back porch is large and is certainly a must in a Florida home!